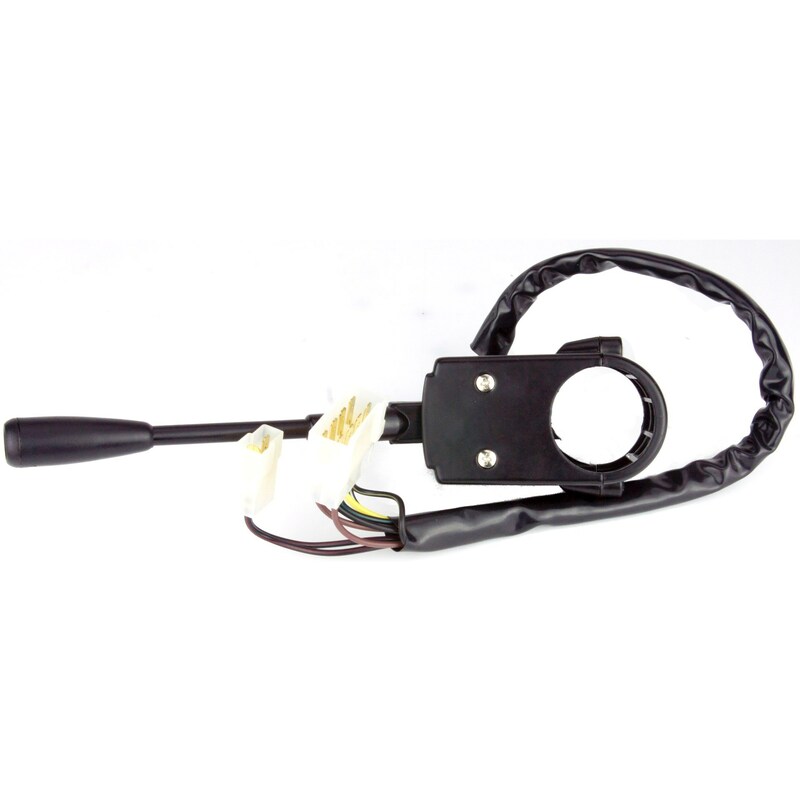 A heavy-duty indicator / dip switch with headlamp flash function and push button horn on the end. It has a die-cast stalk and aluminium body that will clamp directly around a 45mm diameter column. 500mm long, sleeved cables with one 8 way and one 2 way multi-pin plugs with 1/4" male spade connectors. Body size 100 x 60 x 45mm. Stalk length from centre of column 245mm.